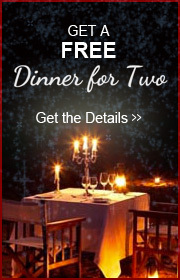 Refer a friend to DuBois Formalwear! If they register their wedding with us, we'll send you a $50 VISA gift card... It's that easy! 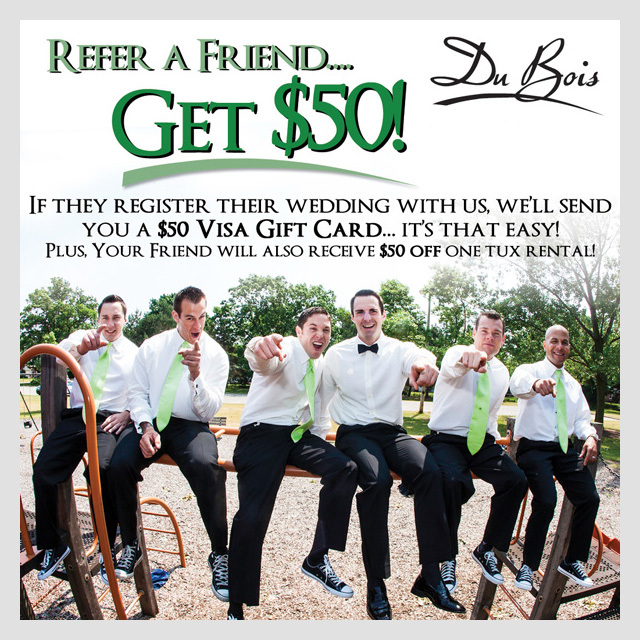 Plus, your friend will get $50 off one tuxedo rental with just five paid rentals!